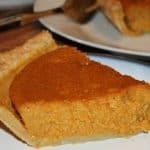 This pumpkin pie recipe is extremely delicious, and every bit as tasty as a pumpkin pie with canned milk. The secret though, is that it doesn’t have any! Instead, it uses sour cream. The first thing I like to do is make the pie crust before moving onto the pumpkin pie filling. 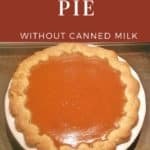 You can find the full instructions here on how to make the pie crust.Then, preheat the oven to 350 degrees fahrenheit. Then in a large mixing bowl, place softened butter and brown sugar. Whip these two together for about a minute. Next, add the sour cream and whip again until the pumpkin pie mixture looks fluffier. 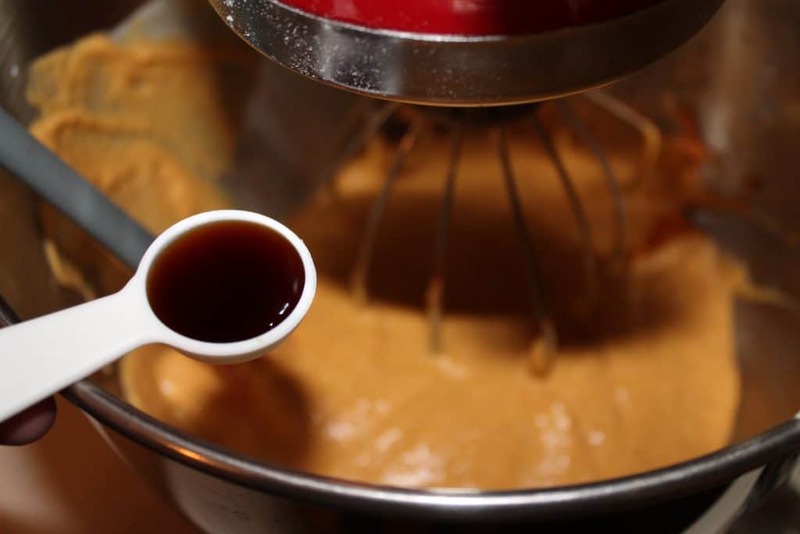 Then, add the pumpkin puree and again whip until blended thoroughly. The next step to this pumpkin pie filling is to add vanilla, cinnamon, and nutmeg. Stir until well combined. The last step is to add the eggs. Whip for about 3 minutes to ensure that the eggs are well combined. Then, pour the pumpkin pie filling into a pre-baked pie crust. 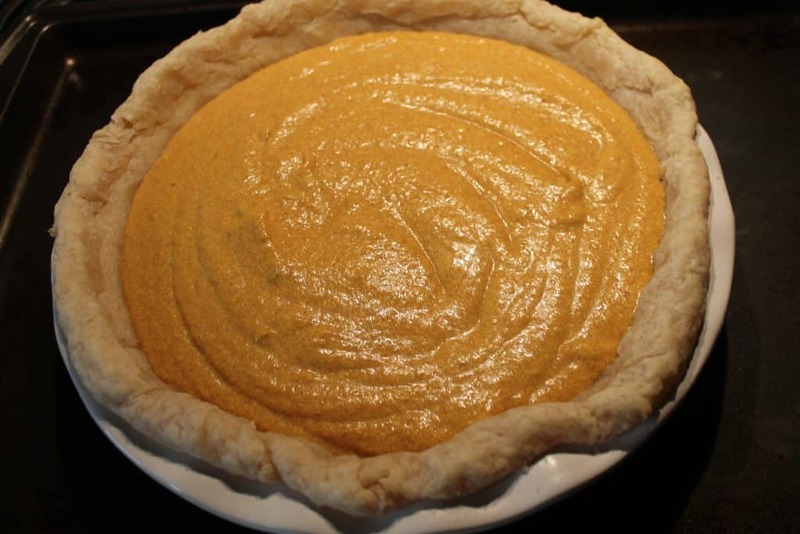 Bake the pumpkin pie at 375 degrees Fahrenheit for 60 minutes or until the filling jiggles. This is how you know the custard has cooked long enough. After all that is what pumpkin pie filling is…pumpkin-spiced custard! 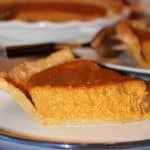 Have you ever substituted an ingredient in pumpkin pie before? 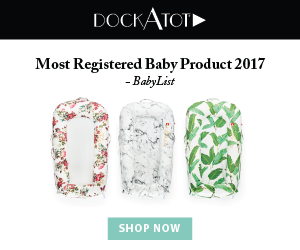 Chime in and leave me a comment below! It’s always nice knowing that there are many ways to skin a chicken (so-to-speak). Don’t forget to pin this recipe for later so you can try it out and taste the wonderful flavor. I promise you, you won’t be able to tell that it was made without canned milk. 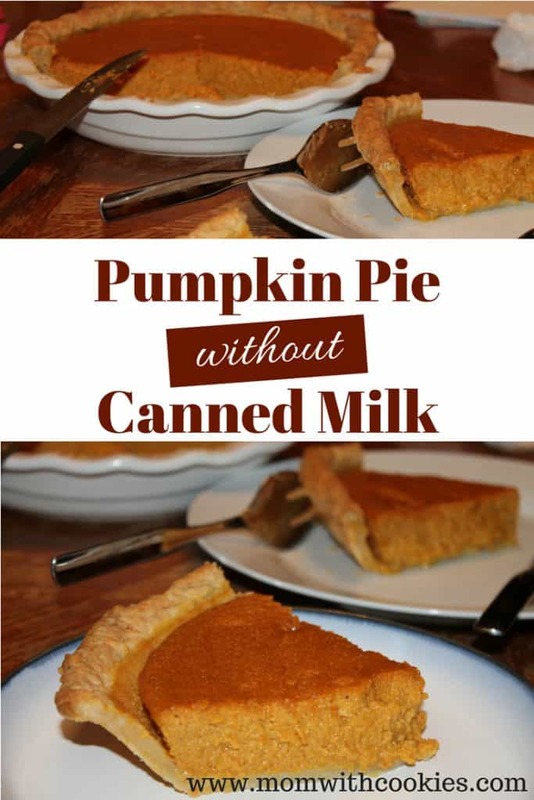 This pumpkin pie is made without canned milk/evaporated milk/condensed milk, but tastes BETTER than the original. Preheat the oven to 350 degrees Fahrenheit. Then in a large mixing bowl, place softened butter and brown sugar. Whip these two together for about a minute. Next, add the sour cream and whip again until the pumpkin pie mixture looks fluffier. 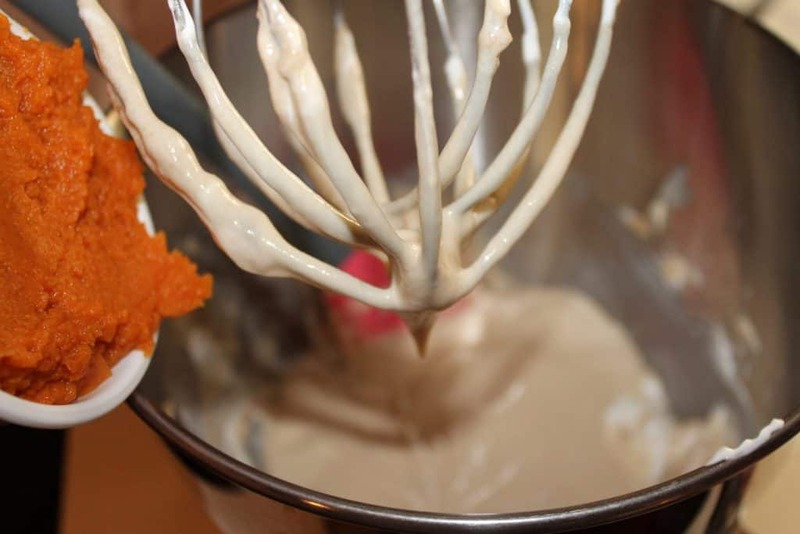 Then, add the pumpkin puree and again whip until blended thoroughly. 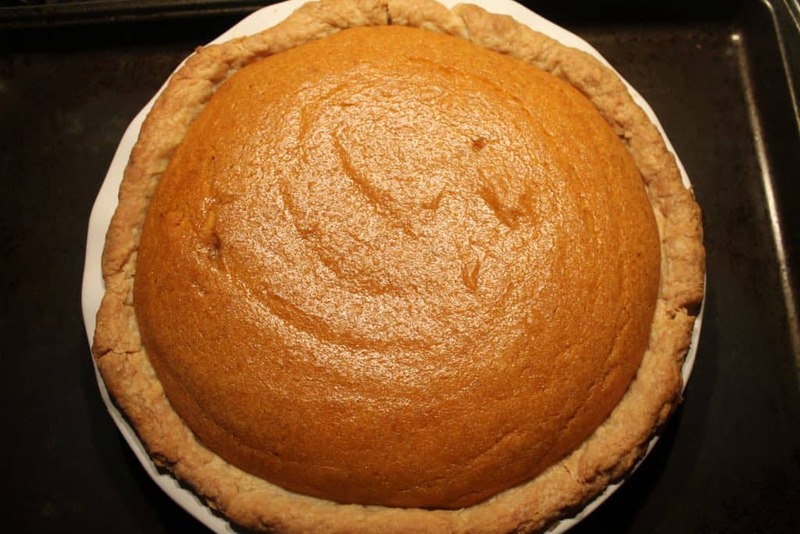 Bake the pumpkin pie at 375 degrees Fahrenheit for 60 minutes or until the filling jiggles. This is how you know the custard has cooked long enough. Cube the butter and cream cheese in a medium mixing bowl. Then add the sugar and flour. 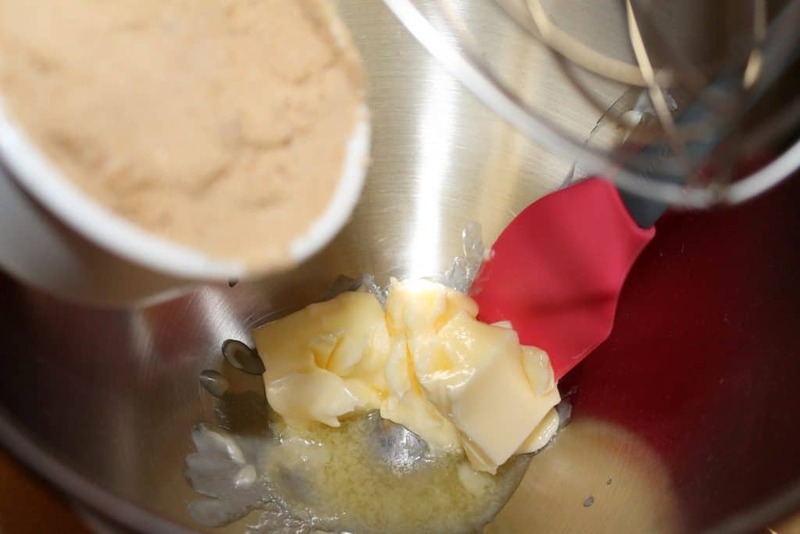 Next, use a pastry blender or 2 forks to incorporate the flour into the butter and cream cheese cubes. This will make the mixture look crumbly. Then, you will add the water. 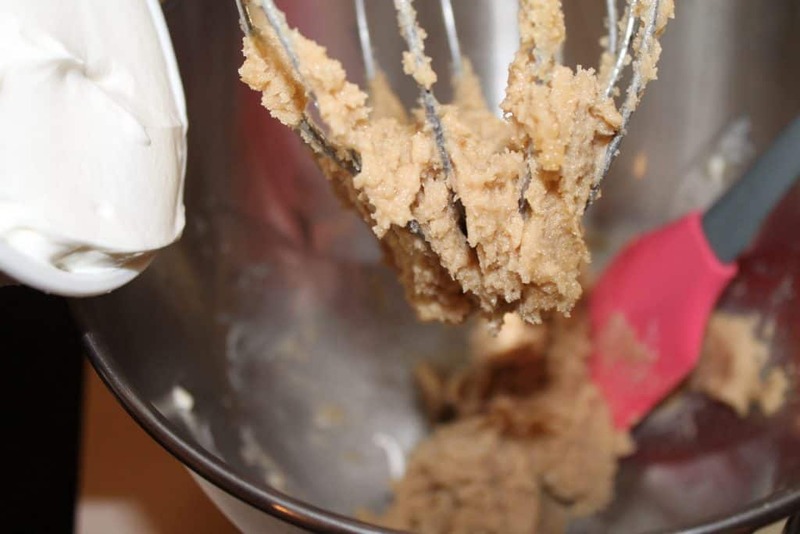 Start kneading the crumbly mixture into the water until the dough starts to come together. Then, refrigerate for an hour. After dough as cooled, roll out on a floured surface. Then place the rolled out dough into a pie pan. 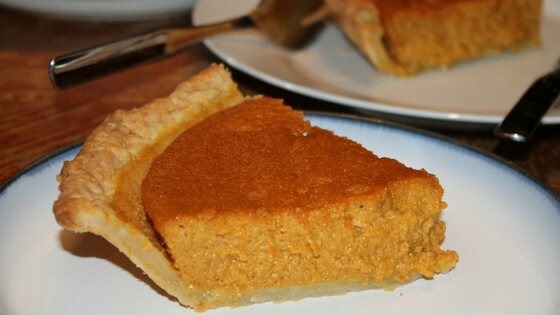 With fork tines, poke a bunch of holes into the crust (this helps the crust from sagging). Then, line the crust with parchment paper then fill with pie weights or dried beans, blind bake the pie crust for 14 minutes at 375 degrees Fahrenheit. Let the pie cool and then remove the parchment paper and pie weights. 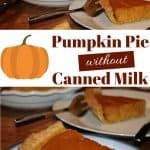 Now you are ready to add your pumpkin pie filling!